In 1995 I was a PhD student at the Institute of Fine Arts, New York University, and working part time at the Metropolitan Museum of Art, delivering gallery talks to hone my presentation and teaching skills. It was a job I relished, though it had some comedic challenges. Since talks were scheduled far in advance, often pictures moved around from when I selected topics – in one case Claude Monet’s La Grenouillère went on loan and I had to improvise on the spot. Another time, Edward Burne-Jones’s masterpiece, Le Chant d’Amour, had been unceremoniously moved to the dark musical instruments gallery, hung above a harpsichord – reflecting the dim view of the Pre-Raphaelites in New York during the Clinton era. It was in this capacity that I found myself in the old American Wing in front of Thomas Cole’s magisterial and panoramic oil of 1836, View from Mount Holyoke, Northampton, Massachusetts, after a Thunderstorm, commonly called The Oxbow, and speaking to an overflow crowd. After fielding numerous questions from museumgoers, a man approached. He wore a rucksack, and his blue jeans and trainers were splattered with paint. He praised my presentation and asked for my details, saying he wanted to send me a present. Circumspect of this chromatic vagabond, I gave him my grad school address, and a few days later received a catalogue and a note handwritten in now-familiar block capitals. The gifter was the painter Stephen Hannock, and those capital letters cover the surface of his landscape paintings. Just off a plane, having attended the opening of his show at the Timken Museum in San Diego, he had come to commune with The Oxbow, the picture that has served as a lodestone over his career. He was chagrined to see a huge crowd in front of it, and some kid chattering away, but I must have said something right as we have been collaborating productively ever since. Most recently, I curated Hannock’s exhibition at Marlborough Fine Art, London, in early 2014 – some of the pictures in it had been inspired by works Stephen had seen in my ‘Pre-Raphaelites: Victorian Avant-Garde’ exhibition when it transferred from Tate Britain to the National Gallery in Washington, D.C. Soon after we began co-curating ‘River Crossings’, a show that would wed my expertise in 19th-century art with his own abiding passions and those of other contemporary artists in the New York City region. ‘River Crossings’ (until 1 November) will be installed in Cedar Grove, Thomas Cole’s house in Catskill, New York, and just two miles away and across the Hudson River at Olana, the neo-Moorish pile built from the 1870s by Cole’s greatest student, Frederic Edwin Church. 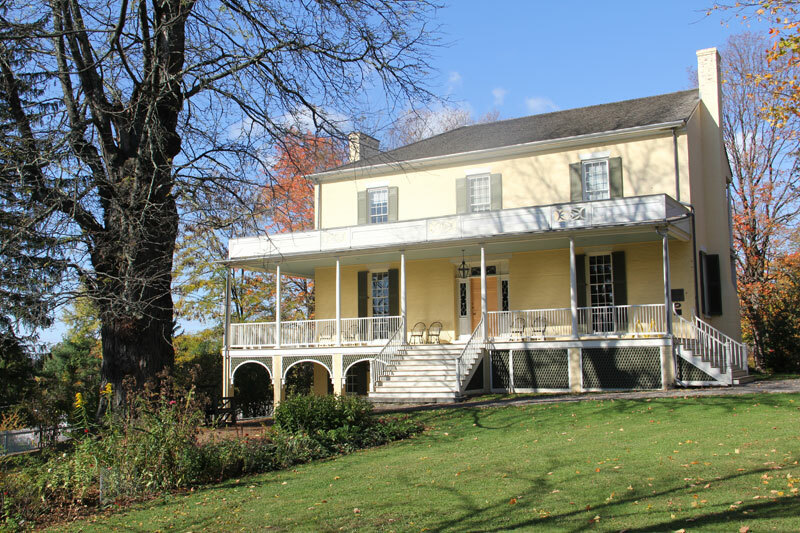 The period décor of these house museums has been joined by works by 28 artists, including established practitioners such as Martin Puryear, Chuck Close, and Cindy Sherman, all of whom have connections to the broadly defined Hudson River Valley, and younger artists such as Letha Wilson, Angie Keefer, Kianja Strobert, and Rashaad Newsome. 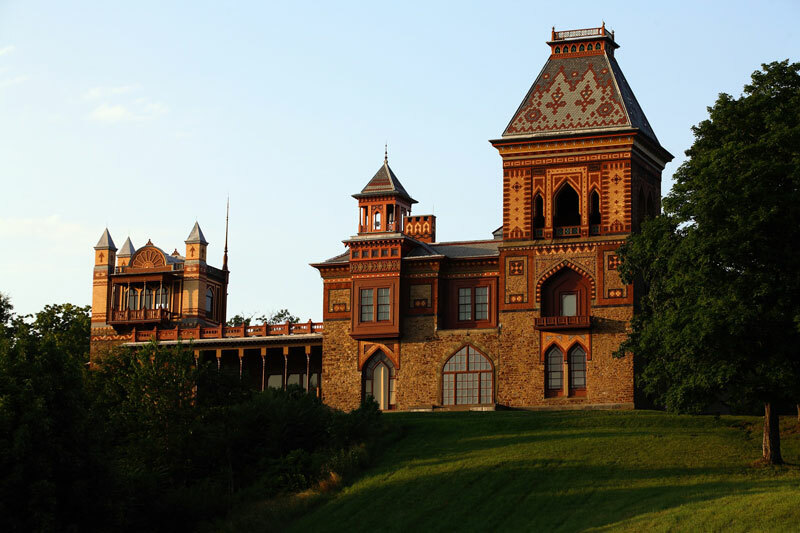 Olana is the Leighton House of the United States, filled from floorboards to turrets with material Church amassed on his travels, and with his own art and that of his contemporaries. It is at the peak of a hill and situated in a 250-acre landscape that Church spent the last decades of his life designing. The 360-degree view of the Hudson Valley is spectacular, and as with Constable Country in the Stour Valley, vistas that the artist painted now largely enjoy government protection. 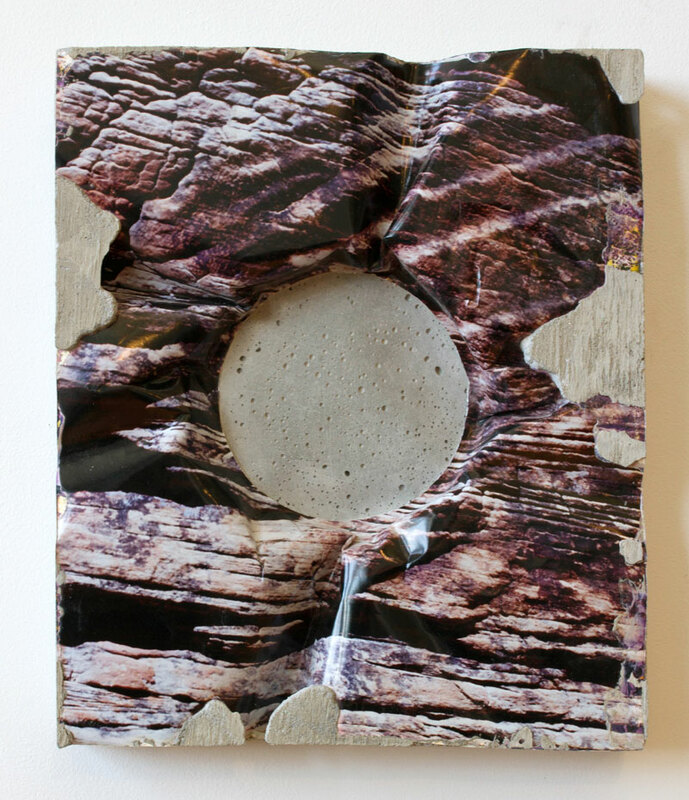 Cole’s Cedar Grove, a farmhouse from 1815 situated at a lower elevation but with brilliant views of the Catskill Mountains, will feature Jerry Gretzinger’s collaged immersive maps covering the stairwell and halls, and Thomas Nozkowski’s formally controlled and remarkable abstract oils inspired by his practice of hiking in the region. Devising ‘River Crossings’ has been a restorative experience. Dealing with living artists in many ways beats wrestling with dead Victorians and John Ruskin. 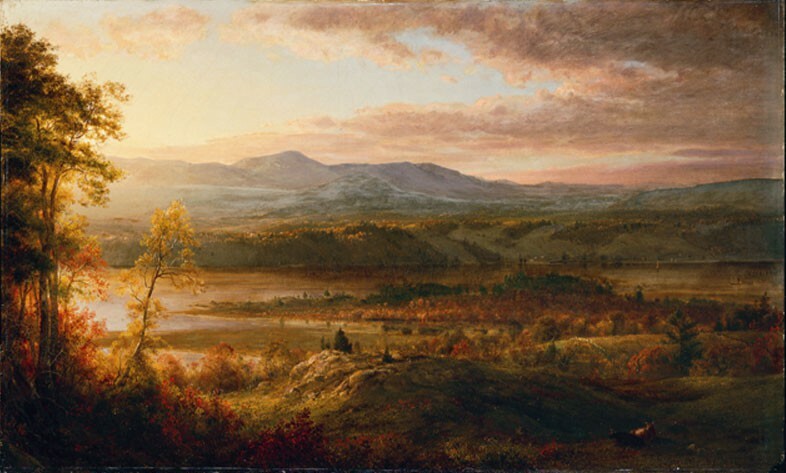 Thomas Cole and Frederic Edwin Church were in the vanguard, in terms of seeking to leave the metropolis both to pursue their subjects more readily and with more focus, and to establish roots in new places upstate. Their ghosts have informed our thinking about this exhibition, but the contemporary spirit of enterprise has been the presiding element – and the energising of spaces, in the form of Church’s Olana and Cole’s house in Catskill, that may otherwise seem frozen in time. Most surprising has been how enthusiastically artists have collaborated with us, visiting the sites, and suggesting particular works for spaces in the houses, or how in some cases being inspired to make new site-specific installations. This has been the remarkable and refreshing part of curating this show – the vivid and shared sense of connection to the past, and the eagerness of a new generation of artists to celebrate the importance of these generative sites of a national school. They are participating in a continuity of expression that reaches back over 160 years of American artistic innovation and reinvention. It was fortuitous for me, professionally and personally, that a jet-lagged Stephen Hannock stumbled into my Met talk two decades ago. We hope that ‘River Crossings’ will pay some deserved dividends for the legacies of Thomas Cole and Frederic Edwin Church as well. 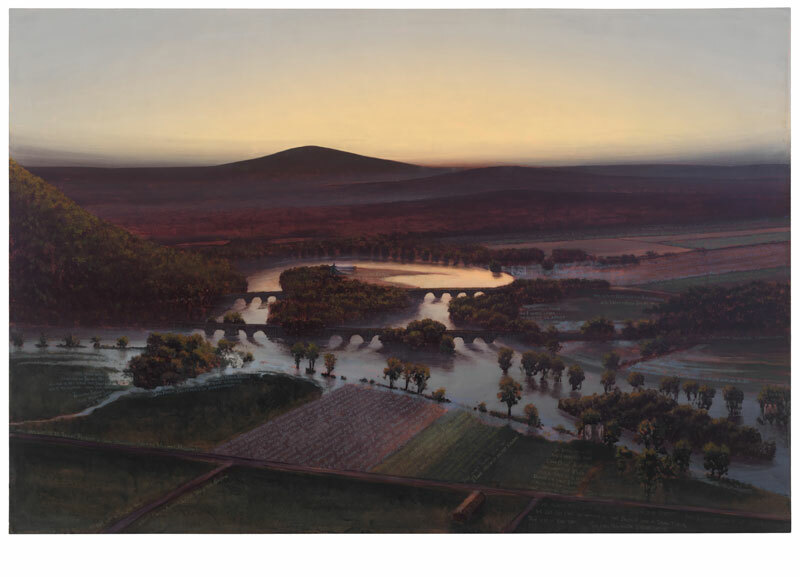 ‘River Crossings’ is open at the Thomas Cole National Historic Site and Olana State Historic Site until 1 November.